What would you do with a 2kg gold lunch box worth multimillions if you can’t find anyone to flog it to? For two Indian thieves, the solution while they were holed up in a Mumbai luxury hotel was quite simple: use it for their lunch. The two had stolen the box studded with diamonds, rubies and emeralds, and several other items just over a week before from the Nizam’s Museum in Hyderabad. The two ended up in Mumbai – hundreds of kilometres away - trying to find a buyer. 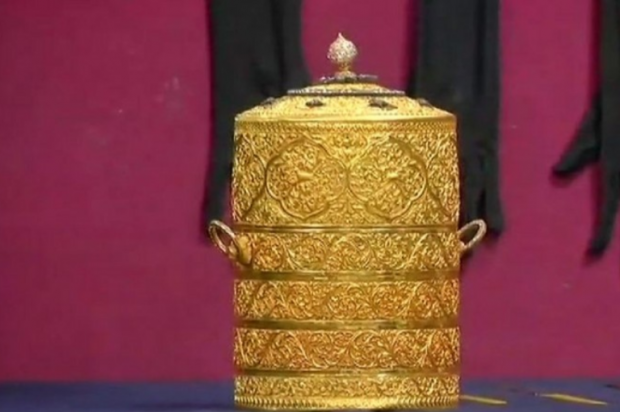 The three-tiered box, made for the last royal ruler of Hyderabad, Mir Osman Ali Khan Bahadur, was taken with other historic jewellery and gems said to be worth up to $100 million after the thieves hid in a ventilation shaft. The two masked men had then just walked out of the museum and escaped on a motorbike.